Along with an array of six outstanding international collaborators, Diana Rose, the first and only Professor in User-Led Research in the world, has received a grant which will fund a pioneering project. Bringing together for the first time the different elements of user-led research, and going beyond the current highly influential ‘patient and public involvement (PPI) in research’ model, the three-years-long project will explore other approaches in the UK and abroad. Congratulations to Diana Rose, Andrew Roberts (Chair of the Survivors History Group) Til Wykes (champion of the English tradition) Sergio Carvahlo (specialist in collective health from Brazil) Jayasree Kalathil, (researcher of Indian origin who has written on racialisation in psychiatry and is critical of the Global Mental Health research agenda) Peter Beresford (who specialises in cross-disability issues and new forms of welfare provision) and Sarah Gordon (service user researcher from New Zealand working on coercion). This is your opportunity to have a say on disabled people's rights under the UN Convention on the Rights of Persons with Disabilities. In 2017 the United Nations Committee on the Rights of Persons with Disabilities will examine how well the UK government, including the devolved jurisdictions in Scotland, Wales and Northern Ireland, is doing at promoting, protecting and ensuring disabled people’s human rights. The Committee needs help to carry out this task and is seeking evidence and insight from disabled people and their organisations in the UK. Related blog by George Szmukler on co-ercion, rights and mental health - on which comments are welcome - see https://disabilityrightsuk.blogspot.co.uk/2016/09/mental-health-disabilities-and-will-and.html. Before HM Coroner Selena Lynch,South London Coroners Court, Sitting at Bromley Civic Centre, Stockwell Close, Bromley BR1 3UH. Christopher Brennan died at Bethlem Hospital on 31 August 2014. He was 15 years old and had been admitted to hospital as a voluntary patient 6 weeks earlier following several incidents of self harming. Christopher Brennan is one of at least 12 child deaths of mental health in-patients INQUEST has identified over the period 2010 to 2014 through its casework. 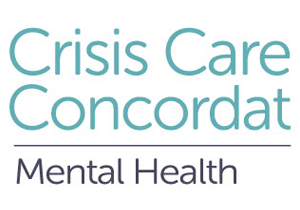 The Crisis Care Concordat National Summit is a full day programme celebrating progress, innovation, and improving practice since the launch of the Concordat in February 2014. In 2014 and 2015 the day brought together 200+ national and local leaders from across health, policing, social care, local government and the voluntary and community sectors, and people who use services and carers. This year the focus will be on what more we can all do to maintain the momentum and ensure that anyone who experiences mental health crisis receive appropriate, timely and urgent care and support, irrespective of where they are in the country, or which service they turn to first. Places are limited, so please register online as soon as possible. Borderline Arts offer a Certificate in Professional Development for those who want to gain an understanding of BPD. The Creative Educational Workshops ( run with Derbyshire Mind) raise awareness and reduce stigma surrounding Borderline Personality Disorder (BPD). The workshops are interactive and engaging. The organisers try to include a facilitator who has a diagnosis of BPD for genuine feedback and Service User expertise. As the workhops are set up on a flexible basis, please get in touch with Borderline Arts if you feel your Team/Staff Group/yourself could benefit from this unique training. Borderline Arts are the only Charity in the UK who offer BPD specific training. MHM Mental Health User Voice services promote service user involvement and social inclusion. 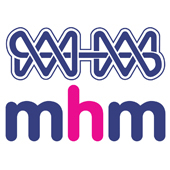 An opportunity is available in MHM’s Sunderland Mental Health User Voice service for a Development Worker who can demonstrate proven experience of service user involvement and development work. To fulfil this role you will have experience of engaging people who have a range of mental health needs. You will also have a good knowledge of mental health service provision across the voluntary and statutory sectors. The Metropolitan Police Mental Health Team have organised a meeting of partners, independent advisors, carers and people who access mental health services to assist in increasing the competence and capabilities of the MPS in all matter of its mental health delivery service. The Mental Health Consultative Forum does not have an audit role. Each member brings a unique set of skills and knowledge which will contribute to improvements to service delivery with the consequent aim of increasing the confidence of communities across London. There is a maximum of 15 forum members. The group meets three times a year and also reacts to communications circulated between meetings.